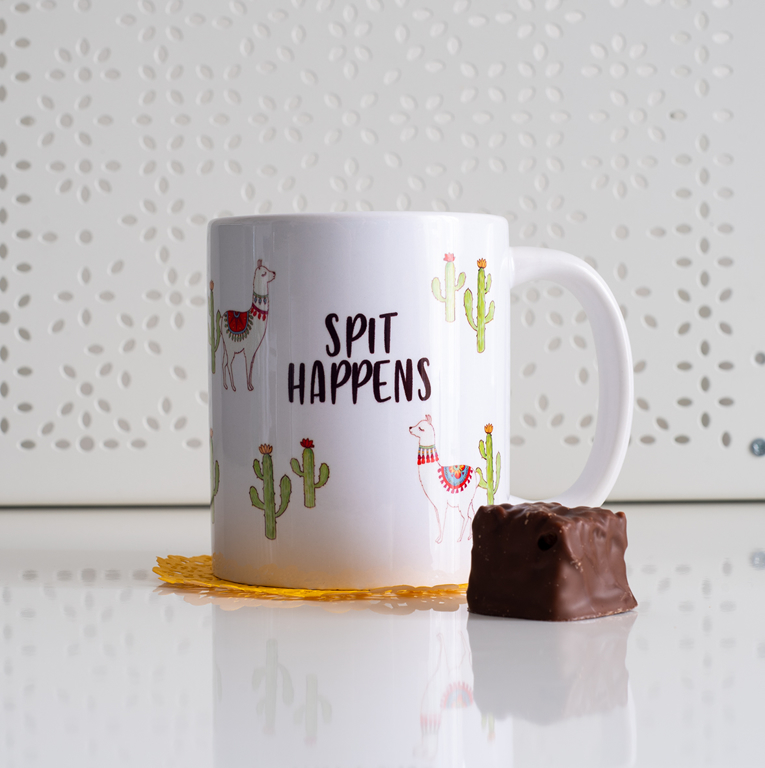 Spit Happens is featuring the Dessi Designs Llama design with a punch line! With its vibrant colours and unique design, it is truly state of the art. Each Spit Happens element has been hand drawn and coloured with watercolours before being scanned and transferred onto the mug.